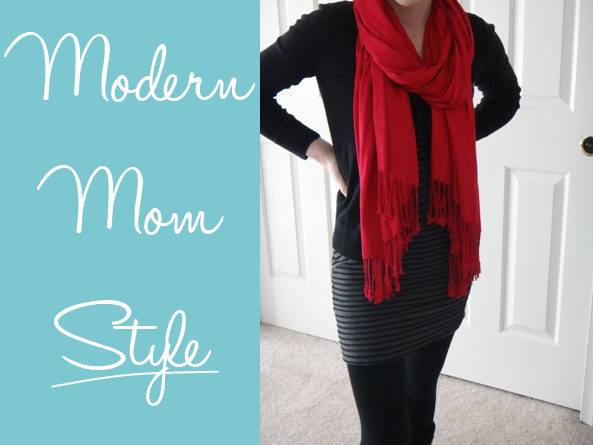 Modern Mom Style: Seasons Schmeasons — a Modern Mrs.
What do you do when you have a cute dress you want to wear, but it's no longer "in season?" You layer that sucker and make it in season! I have this cute, sleeveless dress I purchased from Target last year to wear on our honeymoon. It's black, so it's not held to any particular season in that sense, but it's sleeveless and thin, so it really can't be worn on its own in December. So, I decided to pair it with some leggings, a cardigan, and a scarf, along with some fuzzy boots I was really pleased with the result! I'm a walking, talking advertisement for Target today. The cardigan, dress, leggings, boots, and scarf were all purchased last year.... from Target. All-together this outfit is probably about $80. 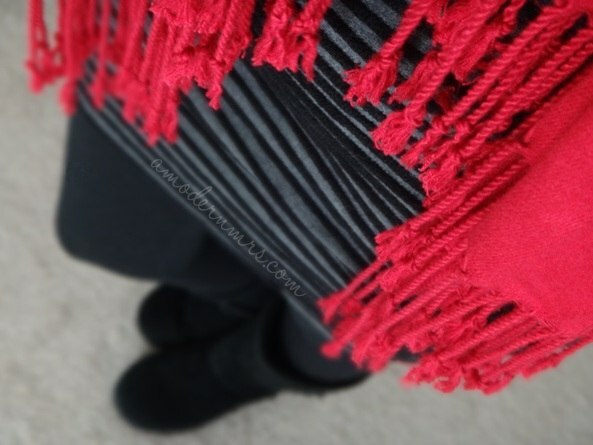 Since everything was black, I knew I wanted my scarf to offer a pop of color. This was taken a few days before Christmas, so I went with a festive red. I couldn't get any decent shots of my boots, but they're the Xhilaration Kendra Suede Boots in Black. Super duper cozy, and crazy affordable ($20)! While this dress offered a simple fix thanks to being black, you could do this with any dress in any color or print. Pair it with some tights or leggings, and dress it up with a different type of boot or booties. 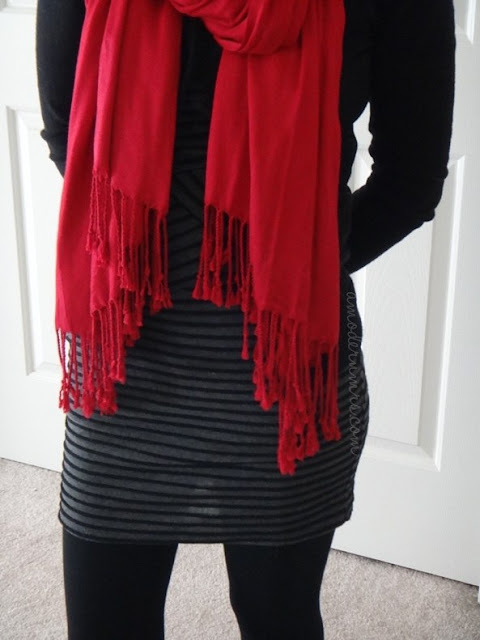 Scarves are an amazing way to transform an outfit, especially if your dress has a low neckline. 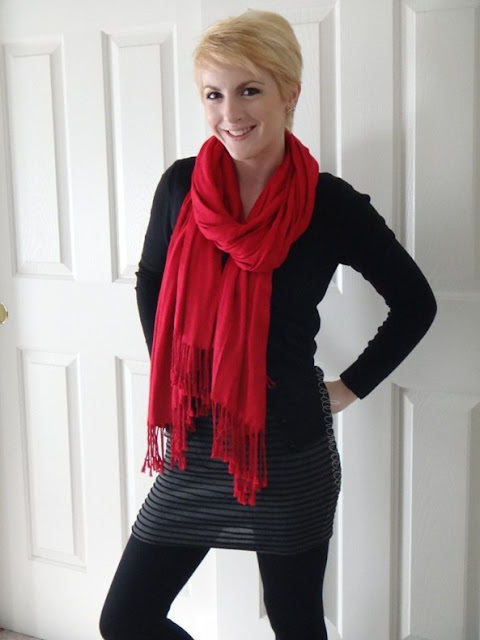 I find scarves.net to be an amazing resource for finding new ways to tie a scarf!